With Nooyi’s addition, Seattle-based Amazon’s 11-person board now has five women members. 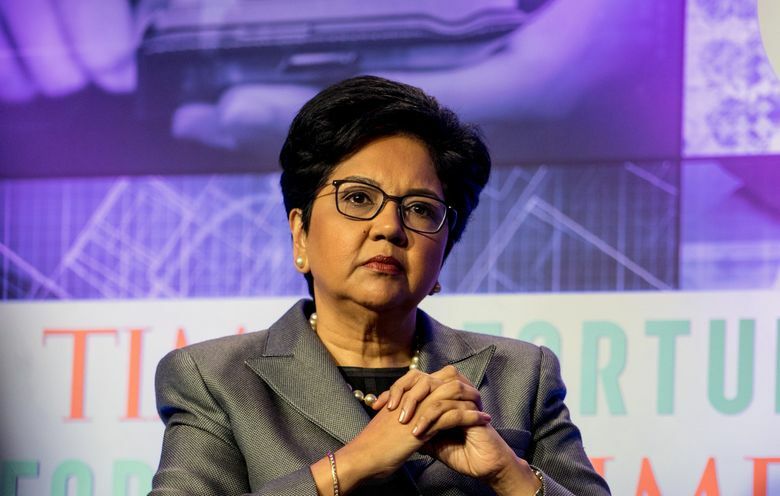 NEW YORK — Amazon has named former PepsiCo CEO Indra Nooyi to its board, the second woman of color to be added to the online retailer’s board of directors in a month. Amazon and other big companies have been under pressure to diversify their boards. Rosalind Brewer — a Starbucks executive and former Walmart executive — earlier this month joined Amazon’s board, the second black woman to ever sit on its board of directors. Nooyi, 63, stepped down as CEO of soda and snack company PepsiCo in October and gave up her seat on the board this month. She had worked at the food and beverage giant since 1994. She’ll serve as a member of the Amazon board’s audit committee, the company said Monday in a filing. Information from Bloomberg News is included in this report.